Technology is a wonderful convenience. However convenience isn’t security, and in the wrong hands, even benevolent technology can be twisted. En route to a bug sweep assignment, we received a frantic call from an entertainment celebrity and businesswoman in desperate need of our Cyber Technical Surveillance Countermeasures Sweeps (TSCM) to combat a cyber-stalker. Three private investigators had looked into her case over the previous 18 months. To their credit, the final two had helped to move the case forward. P.I. #2 uncovered spyware in the client’s computer and phone that may have been used by business rivals to steal information. This is not unusual. My firm regularly conducts bug sweeps for business clients before important meetings to prevent theft of trade secrets. P.I. #2 also conducted surveillance and reassured his frightened client that she wasn't being stalked. Within 30 days, she realized that, despite their assurances, P.I. #1 and P.I. #2 were wrong. So, she purchased amateur spy-detection gadgets and conducted do-it-yourself bug sweeps. Her failure to unearth the culprit further heightened her confusion and anxiety. Consequently, she lost considerable credibility with law enforcement and the P.I.s, all of whom called her paranoid. Worst of all, she feared losing business and the respect of her high-profile friends and clients. Finally, P.I. #3 gave her the best advice — hire a higher caliber P.I. who has superior TSCM training, specializes in BugSweeps, years in the trade, and considerable investment in high-tech equipment. That’s where we came into the picture. We decided to accept this assignment and met with our client at a park, while her chauffeur and constant canine companions waited in the limo about 100 feet away. The client complained of pains in the back of her head and neck where there appeared to be a lump. She believed that this area contained a tracking implant! She'd picked up the idea from dark, controversial websites about gang stalking. They even showcased patents to authenticate them. The client had been reluctant to mention these activities until after we accepted the assignment, for fear of being labeled and abandoned by us. The next day, we arrived at the client’s San Francisco mansion; her two well-mannered dogs greeted us with an apparent salute to our entry. Electronic technology abounded on the property, outside and within — intercoms and security video cameras everywhere, remote control devices and smart-home technology. It was a spy paradise! On the second day our sweep picked up a confusing 134.2 KHz RF (Radio Frequency) that faded in and out so much that I found myself jokingly looking outside for drones! The mystery quickly unraveled. By mistakenly operating two pieces of controversial equipment simultaneously, we discovered that our client’s global business movements indeed were being tracked by an implant. It wasn’t in our client’s neck, as she feared, but it was in her dog — the dog that traveled with her everywhere she went. The RFID chip she allowed to be injected to ensure her beloved pet’s safe return had been hijacked, possibly by hackers or the paparazzi. According to the Privacy Rights Clearinghouse, RFID reader devices send out a radio signal that triggers any passive implant to transmit its information. In this case, it was the ID number. This number could be used to gain access to our client's private information in an online pet database. As the victim and her dogs traveled, they could be traced through airport terminals, cargo, or customs security scanners, or anywhere else, for example. An ambient RFID reader can transmit a passive implant's locale to a satellite. Such a method is used to track merchandise on delivery vehicles and shipboard cargo containers. An implant isn't always used for nefarious purposes. It can be used to gain easy entry to a place, protect assets from theft or misplacement, hold medical records, etc. The implant industry focuses on these positives and repeatedly claims that its products cannot be used to track people and their data is secure. Guess what? Not true. In fact, some of these corporations have patents for people-tracking RFID devices. Our client’s case serves as a warning about the dangers of RFIDs and other tracking devices. Sometimes the area of least suspicion, like your dog, is your worst vulnerability. Consider your cell phone. Retailers know so much about you the moment you walk into their store, and it’s legal, because you allowed it. Thinking outside the box is critical to unearthing the truth and protecting clients. With an open mind, high-tech equipment, up-to-date technology education, and a lifetime of experience, we are one of the top investigative teams in the TSCM Bug Sweep Profession. Michael Guadagno is a highly regarded and extremely well-versed law enforcement and investigative professional with an unusual trade specialty. 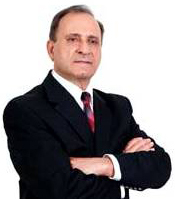 Mr. Guadagno is the founder and principle of Michael Guadagno & Associates, Counterespionage Investigations. Michael Guadagno & Associates’ primary function is technical counter-espionage detection, which includes his outstanding investigative ability.